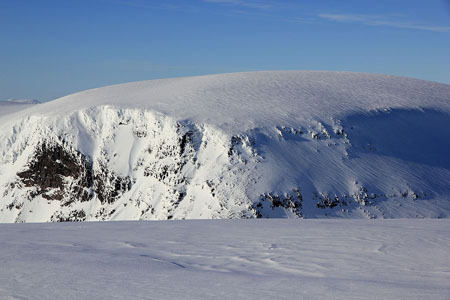 This mountain is a bit isolated, one needs to cross several other summits in order to climb it. The best starting point is still Olden, located next to Loen at the very end of Nordfjord. One can climb this mountain via Meleinsnibba or from Gjerdeaksla and Strandanibba. 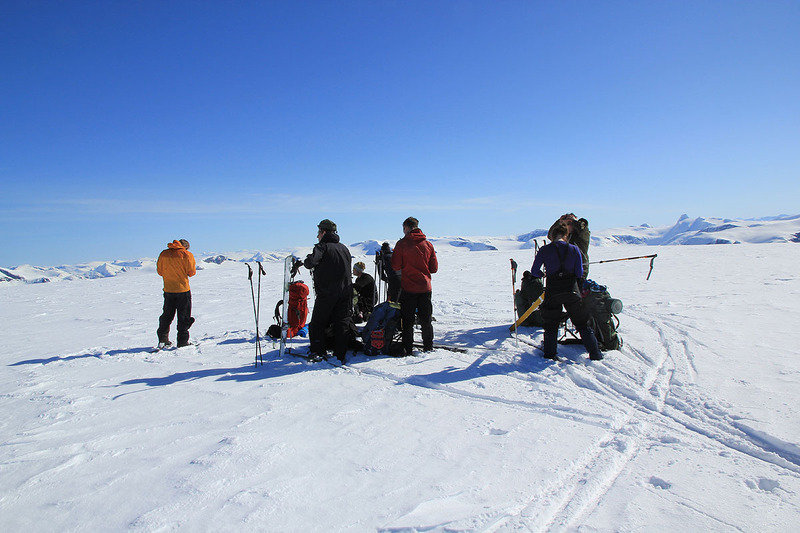 The easiest approach is to climb Meleinsnibba, then traverse across to the top of Ramnefjellbreen. Descend steeply from Strandanibba to the deep cut that separates Ramnefjellbreen from the terrain closer to Jostedalsbreen. This hill is called Vesledalsbreen, it is best to descend on the right side, ie. to the east, or Loen side. Ski down and into the deep, but pretty broad valley that cuts across from the Loen side to the Olden side. Next, there is a steep ascent to get up on Ramnefjellbreen. There are descriptions that advice to do this along the southwest ridge, ie. start all the way towards the Olden side of the col. However, we chose to ascend the snow slope more directly uphill, directly from the col. This slope is steep and gets steeper near the top. Evaluate the conditions before trying this route. 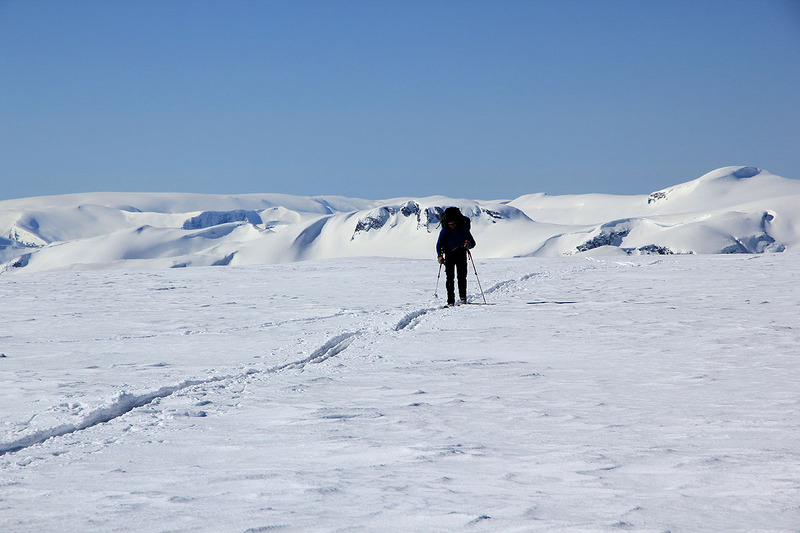 As you descend from Ramnefjellbreen, you have a nice ski route across to the next mountain, Meleinsnibba. I climbed this mountain as part of the Loen Rundt tour, that I organized in 2012.